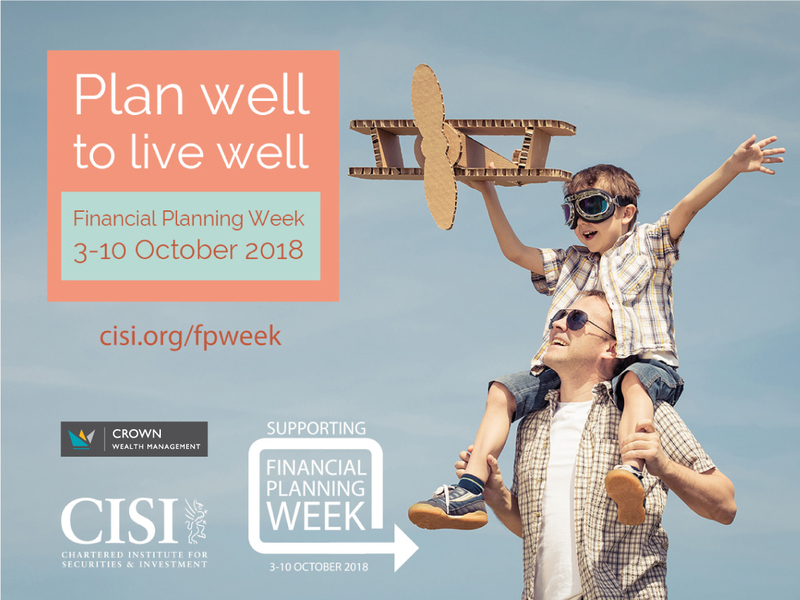 Crown Wealth Management is delighted to be supporting Financial Planning Week and will be holding free, one hour meetings which can be booked in advance during the week commencing 3rd October. This will be an opportunity to understand what true financial planning is and how it differs from financial advice. Contact us now via www.crownwealthmanagement.co.uk , info@crownwm.co.uk or 01743 276797 and visit www.cisi.org/fpweek for more details on this CISI campaign.